We don’t escape America's history of racism because we believe ourselves to be good people, or that we're just doing our jobs. It’s already defined our lives. Update, August 1, 2014: The autopsy report confirms what we see in the video: an NYPD officer choked Eric Garner to death. There is no escaping responsibility. He died from “compression of neck (chokehold), compression of chest and prone positioning during physical restraint by police.” As such, the NYPD must be held accountable. However, that alone is not justice. If the officer is arrested, faces trial, and is convicted, that still is not justice. There is no justice where there are dead black bodies. Justice must be more proactive, and with regards to this particular instance, justice should look like us reimagining the role of police in our society. The motto can no longer be "to protect and serve" if that only applies to certain people. We can't cede the idea of crime prevention to an armed police force, and then allow them the discretion to determine which crimes are worth preventing. The reality of policing in America is that it upholds a system of racism and oppression of the poor. There is no justice, for Eric Garner or anyone else, until that changes. Today, Eric Garner will be laid to rest. Garner was 43 years old and died last week after an altercation with NYPD. A police officer placed him in a chokehold and pushed his head into the ground until he stopped breathing. We know this because the incident was captured on video. Garner is the latest in a long line of black people beaten and/or killed due to police brutality. 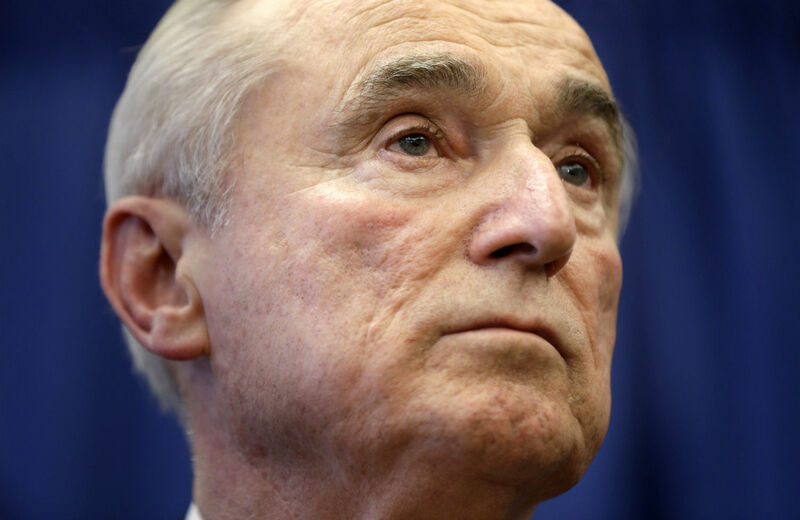 But Police Commissioner Bill Bratton would rather we not think about race. Bratton made the same mistake that most people make when discussing racism in America. He takes the absence of any explicit references to race to mean that race/racism played no role in this interaction. No one used any racial slurs, the silver bullet of racial animus. None of the officers yelled, “Choke him! He’s black!” No one said that black men are animals who aren’t fit to live. Nothing of that sort happened. And because of the way we understand racism as an individual feeling of hatred toward a group of people based on skin color, it’s easy to then conclude that race wasn’t a factor here. But history is present whether we invite it to the table or not. We don’t escape America’s history of racism because we believe ourselves to be good people, or that we’re just doing our jobs. It’s already defined our lives. Racism created these neighborhoods where people live in poverty without access to decent jobs. Racism has determined which activities are illegal and who has been arrested for those actions. The selling of untaxed cigarettes, for example, for which police officers were attempting to arrest Eric Garner, is a petty crime that is almost exclusively enforced in communities of color. Racism taught us who is and is not a threat. Racism provided the justification for eliminating the threat. Before Eric Garner ever met Officer Daniel Pantaleo, the policeman who put him in the chokehold, racism had completed the work of shaping how they would interact. While Bratton has ordered the entire police force to be retrained on the use of force, if he were actually committed to this never happening again, he would also order them to take classes on unlearning racism. Mayor de Blasio would be wise to fire Bratton, as it was a terrible choice for commissioner all along. As for Eric Garner, may he rest in the peace he was denied while he was alive.